Discover the 19th Century charms of Recoleta with this 3-hour walking tour. 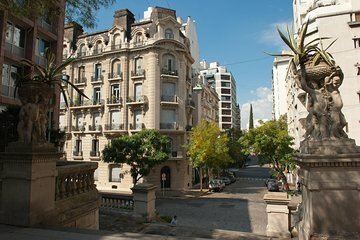 As you admire the ornate architecture of this neighborhood in the north of Buenos Aires, your guide will share historical anecdotes and gossip from the Belle Epoque. Visit Plaza San Martin, Retiro, the Embassies, scenic streets including Arroyo and Alvear, and end with a full tour of the famous Recoleta Cemetery.